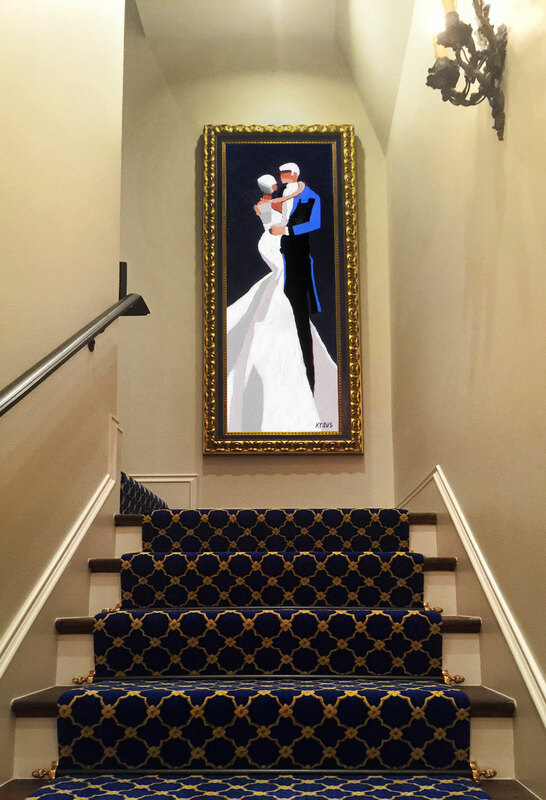 This stairway features artist Harold Kraus. The colors in the painting complimented the atmosphere perfectly. The frame was made to accent the painting and the space.